WAIANAE, OAHU (HawaiiNewsNow) - A Waianae family conquered a dragon Monday afternoon. Or more accurately, a bearded dragon lizard. The family captured the animal, which is illegal to own in Hawaii, in their yard. They then turned the animal in to the Hawaii Department of Agriculture. The lizard measured around 16 inches. Bearded dragon sightings are not new for the area. Just a few blocks away, another bearded dragon was found about a year ago. The animals are native to central Australia and common in the pet trade on the mainland. 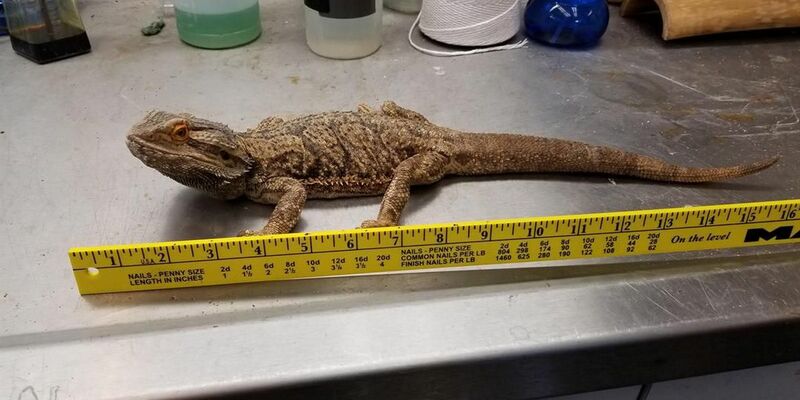 Anyone calling these illegal lizards pets in Hawaii can face heavy penalties, including fines up to $200,000 and up to three years in jail. The Hawaii Department of Agriculture urges people to turn in their illegal animals through their amnesty program. If you have information about illegal animals Hawaii, call the department's pest hotline at 643-PEST (7378).